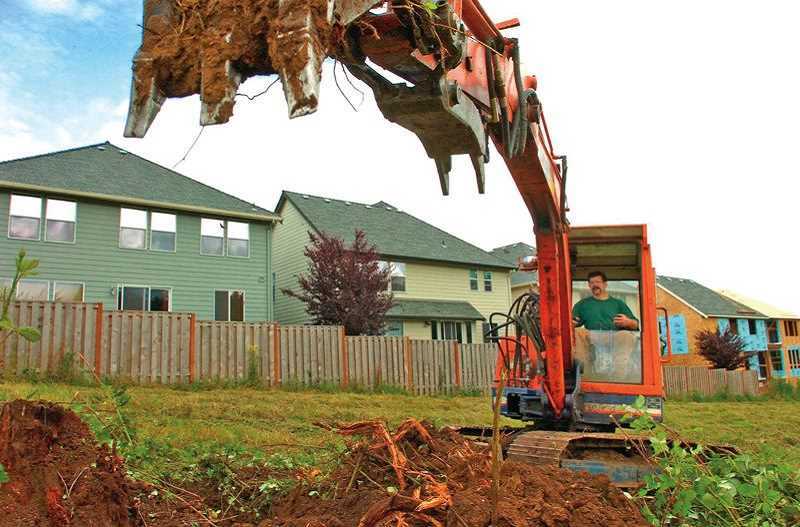 Hillsboro, others, ask Metro to expand urban growth boundary to build 9,000 new homes. Three Washington County cities, including Hillsboro, have received the go-ahead from the chief operating officer of the regional government Metro to move forward with plans to expand, adding thousands of new homes to Washington County over the next few years. The recommendation from Metro's Chief Operating Officer Martha Bennett on Tuesday, Aug. 28, now goes to Metro's elected council, which will decide whether or not to expand the urban growth boundary, an invisible barrier around Portland's suburbs beyond which urban development is not allowed. Hillsboro is hoping to build 850 homes on 150 acres near the Witch Hazel neighborhood, near River Road. The development — known as Witch Hazel Village South — is one of three planned for Washington County if Metro's urban growth boundary is expanded. Beaverton and King City also hope to build new development, as does Wilsonville in Clackamas County. "I believe that all four cities are ready to take the next steps towards getting homes built in the proposed UGB expansion areas," Bennett wrote in her recommendation. "These cities have demonstrated governance, infrastructure and market factors that will lead to housing development. All four cities are working to reduce barriers to development in their existing urban areas and seeking to improve their engagement with diverse communities. For those reasons, I recommend that the Metro Council expand the region's UGB in the areas proposed by these four cities." Added together, the expanded UGB would bring in more than 9,000 new homes across the two counties. Most would be built in Beaverton and King City, which each plan to build more than 3,000 homes. The Metro council is expected to take up Bennett's recommendations Tuesday, Sept. 4. The council has the final say on the requests. Witch Hazel Village South wouldn't be built for another five to six years, according to city officials. The Hillsboro expansion is near a massive housing development known as South Hillsboro, along Tualatin Valley Highway. That development — which will take decades to build — is expected to bring 8,000 new homes and some 20,000 new residents to Hillsboro. But Hillsboro city officials have said that isn't enough. Even with South Hillsboro, the city expects to be 1,300 homes short of forecasted demand by 2038. Although it must vote on the expansion by the end of the year, there is no guarantee that any — let alone all — of the city's requests will be approved. During a July 17 work session on the requests, some councilors were concerned the expansions would not produce enough affordable housing. According to Metro, King City's proposal calls for $88 million in pipes, parks and main roads, a number that doesn't include costs for new schools or local streets. Their proposal calls for around $34,000 in development fees per new home to pay such costs, with lower costs for more inexpensive housing — which will still add to the cost of that housing. In the recommendation, Bennett also called on cities to allow more types of housing in their expansion areas. She called on cities to encourage construction of accessory dwelling units in expansion areas, including removing legal barriers to construction of ADUs in new communities. The recommendation is part of a new process for the council to decide whether and where to expand the UGB, which determines where new development can take place in the three-county region. Under state land-use planning laws, Metro must make periodic adjustments to assure a 20-year supply of buildable land within the UGB. Originally, in order to preserve as much farm and forest lands as possible, the council only expanded the boundary onto "marginal" lands, even if they were not suitable for development. As a result, not much housing has been built in some of the previous expansion areas, despite the regional shortage of homes for sale, which is contributing to the affordable housing crisis. A Metro staff report says the proposed developments could reduce owner-occupied home prices slightly in the Portland area. "If developed, the four proposed UGB expansions would result in modest reductions in housing prices for owner-occupied housing by providing additional housing supply," reads the draft 2018 Urban Growth Report released July 3. But when it adopted the new process, the council also added requirements it wanted to see addressed in the requests. Council approval of some or all of the results would be a change from the last time the council reviewed the UGB in 2015, when it voted that no expansion was needed to accommodate the additional people expected to be living in the region over the following 20 years. That decision was criticized by area home builders and others, prompting the council to review the UGB again sooner than usual. It also revised the review process. Even if the council approves all the requests, the 9,200 new homes they might make possible are just a fraction of the 300,000 more homes of all kinds the Metro report says are required by 2038. "We need more housing, particularly housing that is affordable to people with modest means," reads the report. "We need a greater variety of housing to match our changing demographics; we need more middle-income jobs; and, we need to do a better job of engaging diverse communities in decision-making."